True, 2-seater sports cars are becoming a rather small niche market that is now split into three price brackets. Starting around the $50K mark, you can pick up the legendary Mazda MX5 all the way up to $80K which can get you a Nissan 370 Nismo. The next bracket covers $110K to $150K which offers a range of European models from Porsche, Mercedes, Alfa Romeo and Jaguar. Above this, the heavens open and the sky is the limit, with supercars from every major brand at the appropriate eye-watering prices. 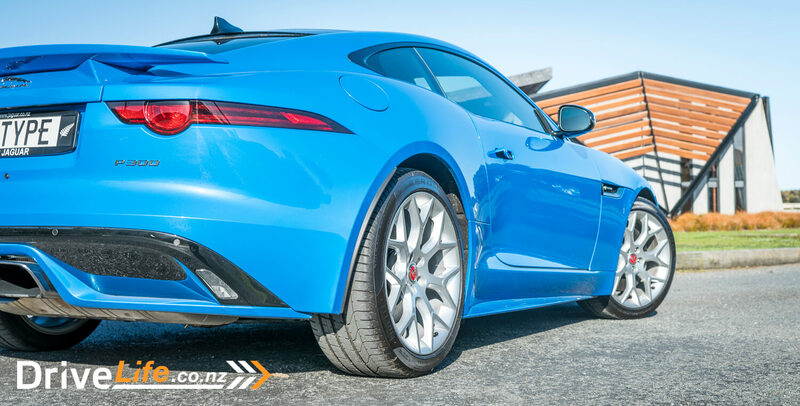 The team at DriveLife got the opportunity to test Jaguar’s first 4-cylinder F-Type, to see if it has what it takes to stand out from the crowd. Including the F-Type P300 R-Dynamic, there are 4 models available within the F-Type range. The P300 Special Edition is your base model with a 2.0-litre turbo. The F-Type 380 PS Coupe has a 3.0-litre supercharged V6, and sharing the 5.0-litre supercharged V8 is the F-Type R Coupe and the F-Type SVR Coupe. 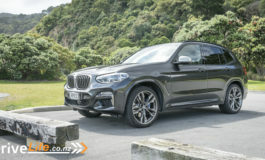 The price range for these models spans many pockets, starting at $119,990 for the P300, $149,900 for the F-Type 380PS, $204,000 for the F-Type R and finally $240,000 for the F-Type SVR. Across the range you also have the choice of roof types. 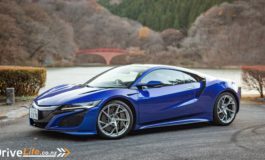 You start with the standard aluminum roof, which can be changed to one of the other options, a panoramic glass roof, carbon fibre roof and the convertible roof model. Standard options across the entire range includes the 8-speed quickshift automatic transmission with sportshift selector, adaptive dynamics, cruise control with automatic speed limiter, dynamic stability control with ‘TRAC DSC’ mode, electronic park brake with drive-away release, intelligent stop/start, switchable active sports exhaust and winter & dynamic modes. 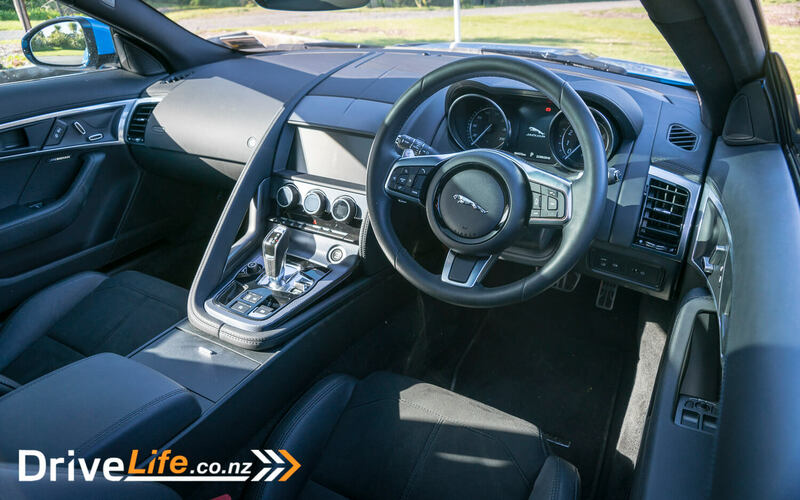 Offered as standard for the interior there is a 10″ touch-screen display, Bluetooth connectivity – phone & audio, InControl Apps, InControl Touch Pro, Jaguar satellite navigation, Meridian 380W sound system with 10 speakers, InControl Protect, Wi-Fi hotspot and USB & auxiliary power socket. The P300 comes as standard with the R-Dynamic body styling kit, which includes a body-coloured front splitter, lower sills and a rather aggressive and complementary rear spoiler. The other noticeable difference between this and the other models available is that the P300 comes with one large rectangular centre exhaust. Without knowing much about the car, this makes it look special and feels more like an expensive supercar. Wow that blue is amazing. The Ultra Blue almost made everything around it look black and white. This is how you make a first impression: sporty aggressive looks, single large supercar-like centre exhaust and that colour. 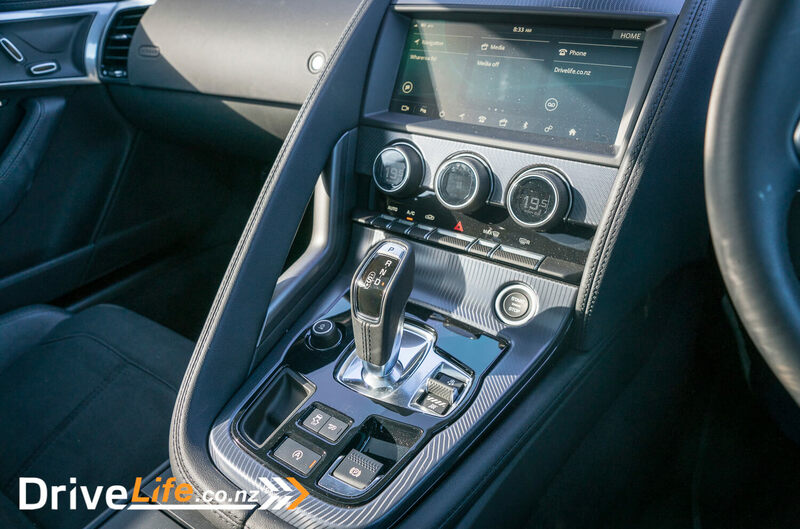 Needless to say, when the car was driven out of the local Jaguar dealer for the official handover, I became rather excited as this is the first F-Type coupe DriveLife has had the opportunity to review. There was a moment that dulled the excitement, when the Jaguar representative indicated that it was Jaguar’s first 4 cylinder F-Type. O.K, not what I was expecting at all. To be honest I didn’t check, but thought maybe a V6 not a 4 cylinder turbo. But the proof will be in the pudding, once we test it out on the open road. The cabin of the F-Type coupe is not a large one by any means, however I never found myself uncomfortable behind the wheel. The driver’s position is nice and low with a high dash and door enveloping you in a cockpit-like environment. This is a good thing, as the feeling of being part of the vehicle is what really makes a great sports car. The seats dont look like there is much to them, but that’s far from the case. They are really comfy and had great side support. There was more than enough room for my height, even to go as far as pulling the seat forward to find that perfect driving position. I was disappointed to see that the steering wheel was a bit ordinary, without a flat bottom. Considering how far Jaguar went to make a base model look amazing on the outside, this felt like a simple oversight. A flat bottom steering wheel with the same seat covering alcantara and a flat bottom would have been perfect. Every surface had nice soft touch materials, which reflected its price tag and were nice to see. The centre console was covered with carbon fibre, adding to the sporty high-end feel. Most aspects of the console reflected the typical Jaguar, Land Rover setup. One of my favourite features was the central air vents at the top of the dash. Jaguar is known for trying to hide vents when they are not in use. 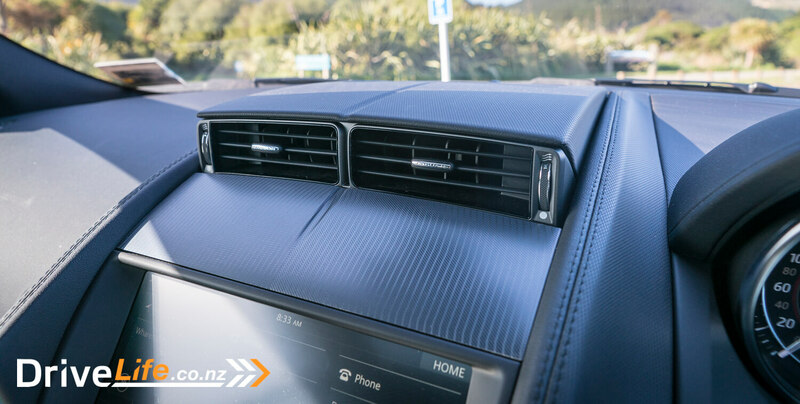 The P300 is no different, when the aircon is turned off, the central air vents retract back into the top of the dash. When you want them back, they extend back up again. It’s a simple mechanical feature, but its cool, and it makes this car a little more exciting. The driver’s dash is simple and uncluttered, rpm dial on one side and speed on the other. There is a small digital screen in the centre showing you some other info like temperature, fuel level and range. It’s not a full digital dash, and that’s a good thing. It’s not about the toys or gimmicks, this car is about driving. The one big surprise for me was when I opened the boot. Taking up 80% of the visible and useable space was the spare tyre. It was just lying there, like someone had just thrown it in the boot. I would have thought it may get at least a cover. I checked out the specs for the boot, which is around 310 litres. There can’t be much more than 40 litres available, but maybe it becomes 310 litres when you take the wheel out. That’s a first for me, where you’re left with the option of having luggage or a spare wheel. 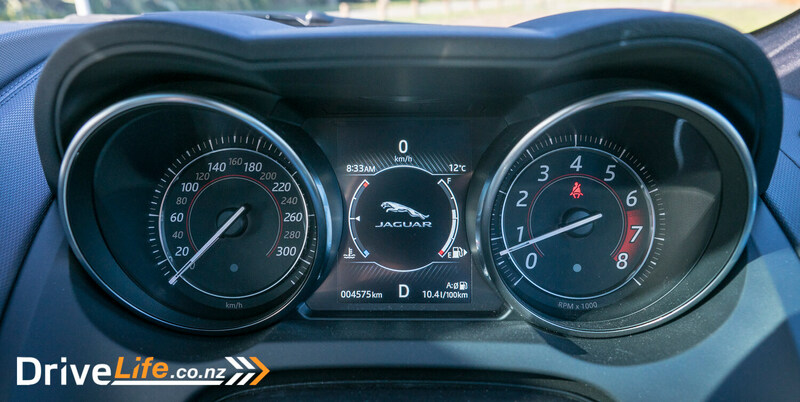 How exactly does Jaguar see this working on a weekend trip away? The big question many will ask is: if the first 4-cylinder F-Type any good. I must admit I was a bit sceptical about it, as Jaguar do not heavily associate themselves with small engines or turbos. The engine inside the P300 is a 2.0-litre turbocharged 4 cylinder that can produce 221kW and 400Nm of torque. Upon startup the engine has a nice sporty sound and settles back into a low drone, sounding very similar to a high performance hot hatch like the VW Golf R. A bit of random info, the 300 in the P300 name equals the horsepower generated by the engine. There are 3 different driving modes and 2 different transmission settings available. The 3 driving modes can be selected via a sporty-looking switch beside the gear stick. When the car is started the P300 defaults to its normal mode, one push down gives you Dynamic mode and from there 2 pushes up brings you back past Normal mode into Winter mode. The transmission settings are selected with the gear stick. Like most performance cars it’s broken down in to D for normal drive transmission setting and S for a more sporty configuration. Personally I would like one action to switch both modes over. I had no need to test the winter settings, so let’s just jump into what we all want to know. The P300 drives really well in its default/normal mode. There is a bit of a drone from the exhaust, but I never found this annoying like some other cars we have tested. The handling was light and effortless, this car feels so well balanced. Without pushing the car in anyway the P300 is, for want of a better word, a luxury coupe. One that I could happily drive daily, as long as I don’t need anymore than what I can carry in my pockets. The great thing about the P300 in brilliant blue was that it stood out, it was a statement. It spoke like a high-dollar supercar, looking fast even when standing still. So many people came up to me and commented about the colour and how nice it was to see a Jaguar that was not black or silver. This look followed through into the performance mode. 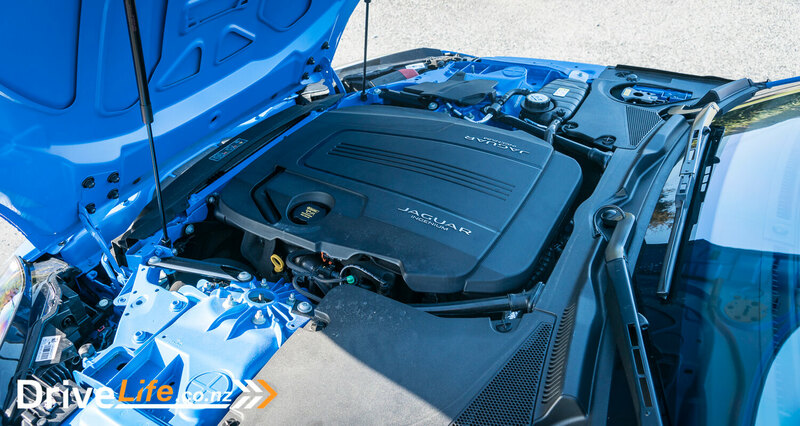 The engine’s 221kW is not eye watering, but it’s not a big or heavy car. If I was to liken this to another car, I would say that the P300 is an expensive Mazda MX5. Not sure how Jaguar will take that, but as the world’s best-selling two-seater sports car, it’s a true complement. The P300 is flash while being everyday useable, and yet still exciting. In Dynamic mode with the transmission in Sport the P300 started to sing. My standard test route takes me around a curving coastline, across some back roads, motorways and through some housing estates. The curving coastline is where its real character shines through, opening up the engine and listening to that sporty drone and popping through the gears up and down. You were rewarded with an exciting pop and gurgle on the down shift and a higher-pitched drone on the upshifts. I say drone, due to the size of the engine. It was a great sound, one that you wanted to hear more and more, which is why I spend the majority of my time in sports mode with the windows down. The P300 would be a great track day toy; it’s setup for the track, easy to drive with great feedback. And it’s got enough power to be exciting without being scary or requiring more skill than your average driver. Unlike the VW Golf R we spoke about earlier, Jaguar do not have the proven history with small sporty engines that have been fine tuned over many years. After spending a week with the P300 I have to say that I am rather impressed. This is a great little engine and it has no problem standing beside what’s on offer in the hot hatch and sports car market. I also would go as far to say that this engine really works well with this car, a perfect power to weight combination. 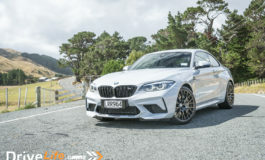 I would love the supercharged V6 or V8, but many of those powerful cars become unusable during day to day driving, while the 4-cylinder could be opened up while staying within the confines of safe driving conditions and speed. The true 2-seat sports car price bracket is a small one with only 4 models available. All European, from Alfa Romeo, Mercedes-Benz, Porsche and Jaguar. Where the choice really opens up, is when you decide to include 2+2 coupe models as well. The decision making becomes a lot harder, as there are a so many options. The styling and the colour made it feel like a real supercar. It handled and sounded like a true sports car, giving the driver that tactile feedback through every corner. The cabin felt like something special that you would look forward to driving on the weekend. The P300 is a great and somewhat economical sports car, which I imagine would be a great track day toy too. I kept getting stumped at the price, and what else you can buy for $119,990. If you’re after a true two-seater coupe that stands out from the crowd, but if you include 2+2 sports car as well, it becomes a whole different kettle of fish. If only this was a sub-$100K sports car, I think Jaguar might struggle to keep them in stock.